Zambia are back in the ascendency in international football, so it is rather ironic that the recent departure of the man who masterminded their revival could mean even better times to come for Chipolopolo. Outgoing coach Wedson Nyirenda had insisted he was building a team good enough to stand their ground at the 2019 Africa Cup of Nations in Cameroon, but he did not stick around to see his project through after handing in his resignation last week to end months of uncertainty. Whither Zambia goes from here hinges as much on how their promising young stars continue with their progression, as on the identity and philosophy of the man who replaces Nyirenda. To be frank, 'Wada Wada' leaves behind a conflicted legacy, with his success in taking Zambia into what promises to be an exciting future diluted somewhat by some high-profile failures and selection controversies. After some superb performances in the World Cup qualifiers in which Zambia finished a credible second to Nigeria in the 'Group of Death' which also included continental powerhouses Cameroon and Algeria, things took a nasty turn. Zambia were eliminated in the quarterfinals at the African Nations Championships (CHAN), despite boasting arguably one of the strongest squads, and the Football Association of Zambia (FAZ) were further irked by the team's lame performances at the Four Nations Tournament which the country hosted in March. In addition to all this was the underlying disgruntlement over the manner in which Nyirenda had frozen out some deserving players from the past under the guise of a fresh start, leaving himself vulnerable to all sorts of accusations. And it is here that an open-minded new coach can make a huge difference by harnessing all of Zambia's best talent to come up with an even stronger unit. For context, Nyirenda inherited a team in freefall on his appointment in September of 2016, promptly realising the ramshackle Chipolopolo outfit were in desperate need of a revival. To his credit, he needed to be audacious and brave to bring in some untested young players and, ultimately, the gamble paid off. Former Under-20 stars Enoch Mwepu, Patrick Daka and Fashion Sakala were thrown in the deep-end along with Brian Mwila, Justine Shonga and Augustine Mulenga, in what amounted to a total overhaul of the forward line. The result has been a fast-paced, fluid and often mesmerising attack, with the team once again electrifying their support base. 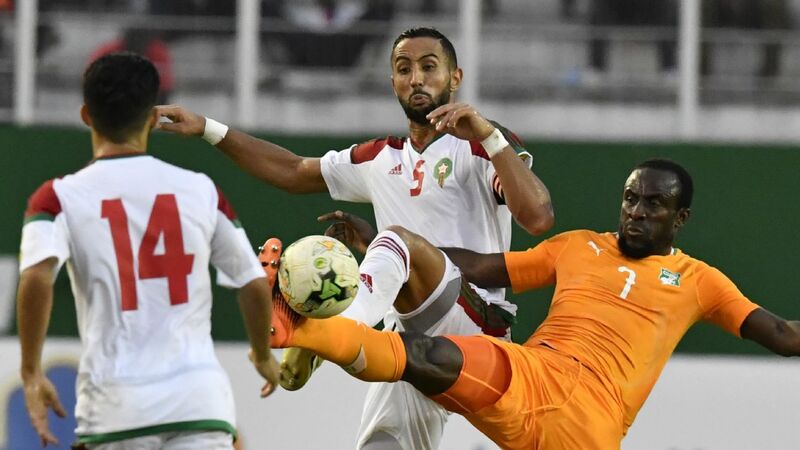 Zambia shocked the footballing world with back-to-back victories over Algeria, while also drawing their two matches against Cameroon in the World Cup qualifiers. Yet this process of rebirth has not been without its downside, with Nyirenda persistently overlooking several top players to spark concerns that Zambia would struggle to realise their full potential under his guidance. Granted, former captain Rainford Kalaba is past his prime and rarely plays the full 90 minutes at TP Mazembe these days. But the continued exclusion of his club-mates Nathan Sinkala and Kabaso Chongo smacks of the level of arrogance hardly ideal for a national team coach. Russia-based attacker Evans Kangwa, and left-back Emmanuel Mbola of Israeli side Hapoel Ra'anana, have also been restricted to the sidelines under Nyirenda. TP Mazembe man Chongo, 26, is a relatively experienced defender with 18 caps, and had emerged as the natural partner for Stopilla Sunzu until Nyirenda decided 32-year-old veteran Ziyo Tembo would do a better job. Tembo himself has not been a disaster by any stretch, but the apparent insinuation that Chongo was no longer good enough even for a place on the bench has clearly denied the team some much-needed depth in that area. Sinkala, too, has enough quality and experience to provide cover or even displace Donashano Malama and 34-year-old Kondwani Mtonga, both of whom have been Nyirenda's go-to men for the anchorman's role. For his part, 25-year-old left-back Mbola has 54 caps for Zambia, but he had stopped playing for Zambia well before Nyirenda took charge. Zesco United man Fackson Kupumbu is currently the first choice left-back. Then again there is the small issue of Kangwa, that talented wide midfielder who has looked revitalised in the Russian top-flight with Arsenal Tula, making 17 starts after joining around mid-season. At 25, Kangwa already has 24 caps to his name, having made his Chipolopolo debut as a 19-year-old back in 2010. He brings some flair and incisiveness to the forward line, and would definitely represent a fantastic option up-front for the next Zambia coach. Kangwa's potential combination with young playmakers Mwepu and Emmanuel Banda is one big reason why this fledgling Zambian team can get so much better in the post-Nyirenda era. To be fair though, Nyirenda leaves behind a promising Chipolopolo team. When he took over, things were looking really dire. The fact that Collins Mbesuma, of all players, was still having a big say in how business was conducted up-front perhaps epitomised the prevailing desperation at the time. Yet it had also become apparent to many that fresh hands were needed if Chipolopolo were to get to the next level.